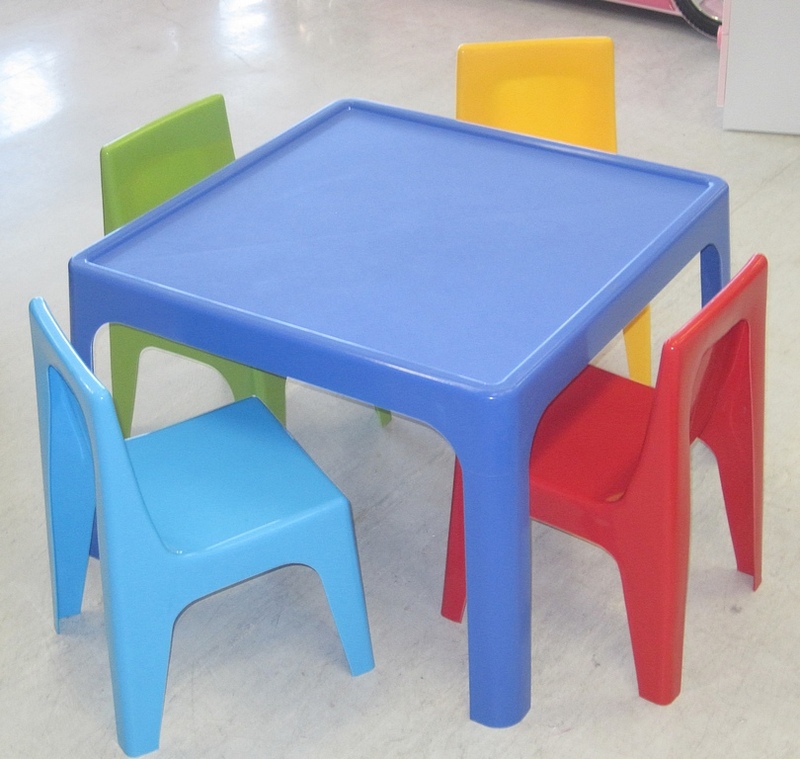 Kids table and chairs are specifically designed for the body and mind of children. 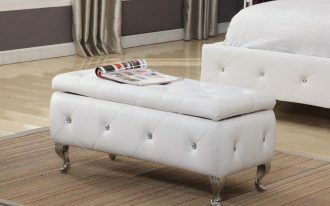 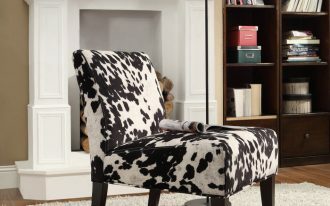 The design is intentionally made by emphasizing the functional the furniture sets and style as well. 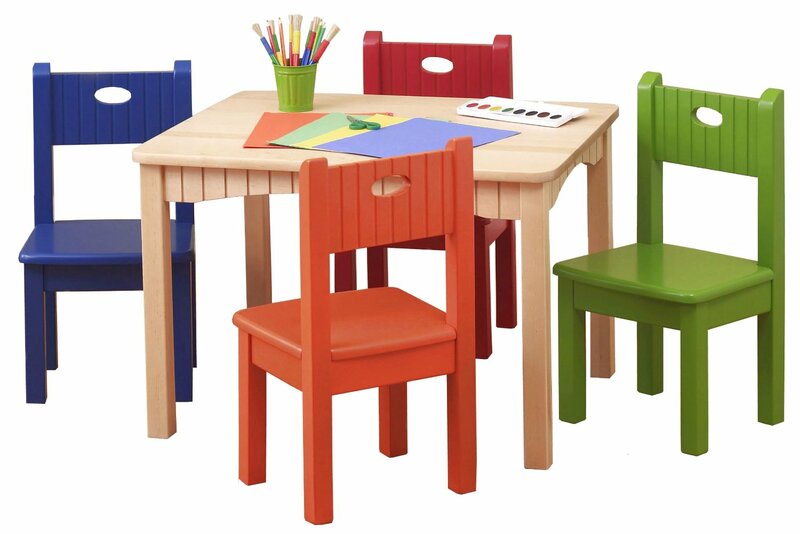 To make the kids comfortable and have fun during taking a set on their chair and do painting or drawing, the chairs and table are designed in fun, interesting, and eye-catching look. 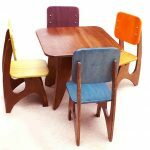 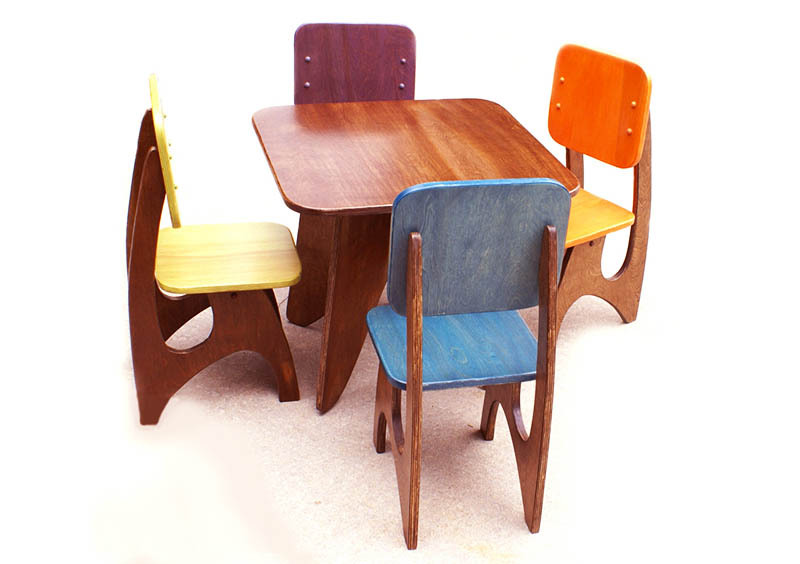 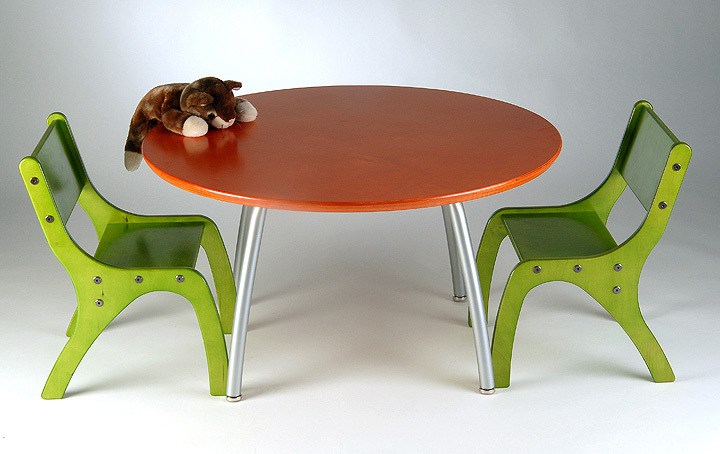 Modern kids table and chairs use attractive colors, shapes, and additional features to attract their users. 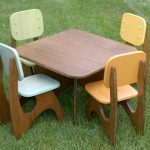 With adding crayon portraits or finger paintings on the table surface, for instance, both will be something cool for the kids. They, then, will be more excited to do the craft or anything else they love. 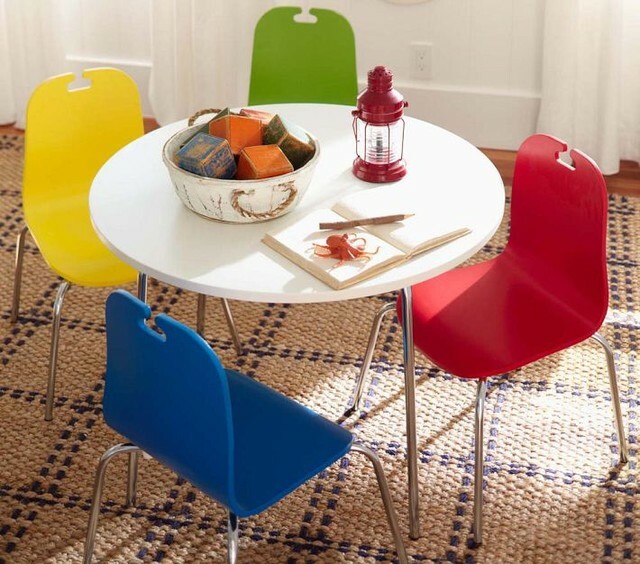 Designed in wide ranges of color, modern kids and chairs are set to inspire the kids’ creativity. 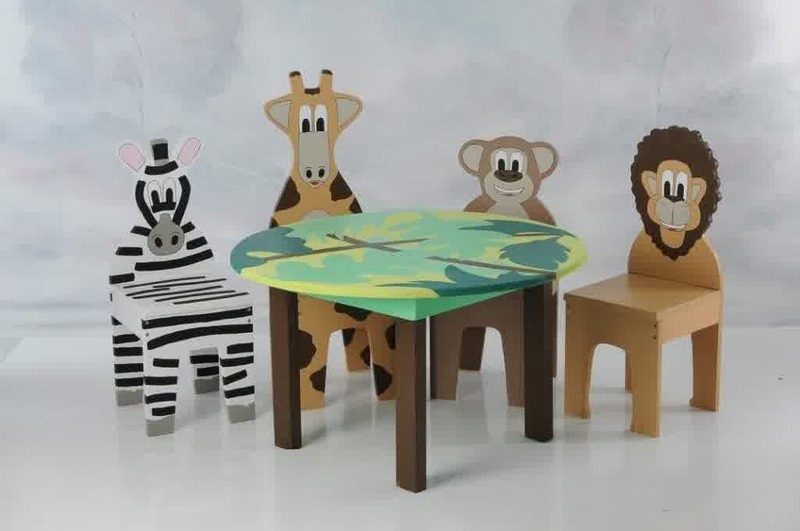 These kids’ furniture also helps to build their imagination. 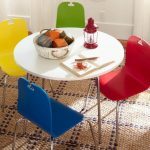 Modern kids table and chairs should be designed with extra safety. 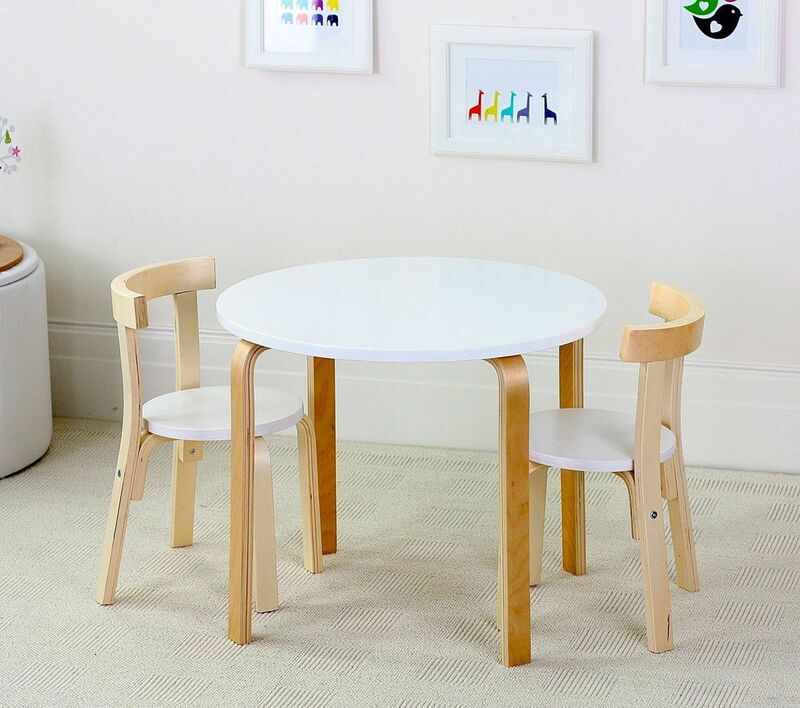 You as the parent do not have to be worried about the screws lose from the chairs or table. 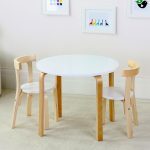 If you need the most practical and space-effective one, many of these kids table and chairs are applicable to be packed flat and taken down for space saving. 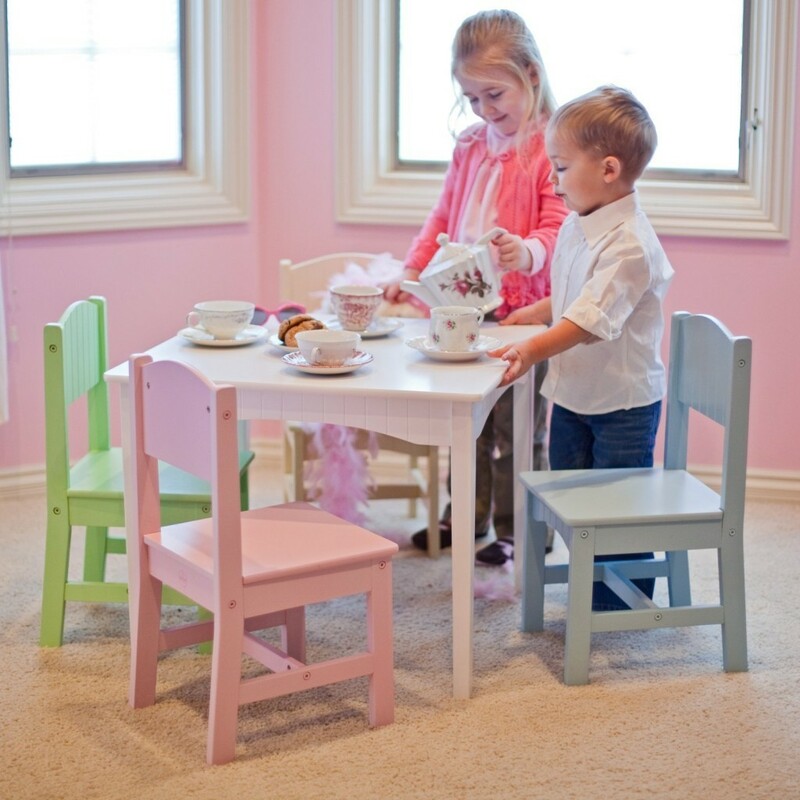 Such idea makes them so perfect for a small indoor playground. 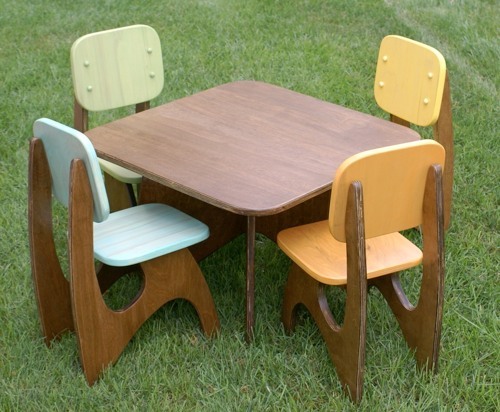 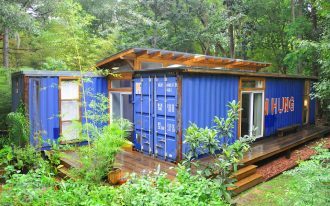 This is also a smart solution for you who need extra space for another kids’ activity. 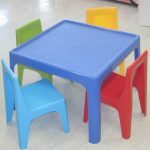 You have three options of kids table and chairs material. 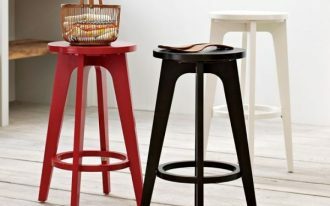 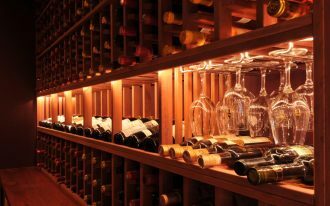 The options are wood, plastic and acrylic, and manufactured wood. 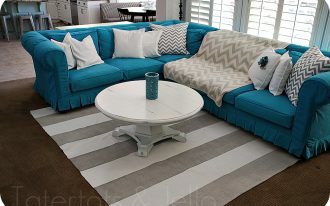 About the theme, there are two main choices you can choose from. 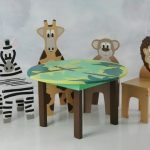 They are educational and abstract & shape themes. 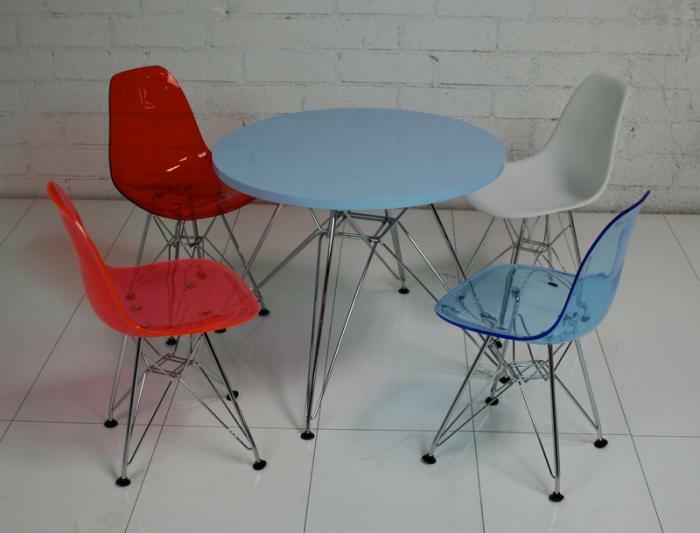 The table itself is produced in rectangle, square, round, semicircle, and novelty shape options. 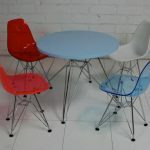 So, which one do you prefer for your lovely kids? 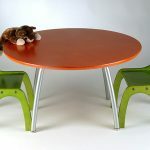 Take a look the newest designs of modern kids table and chairs on our gallery.